Brian Barwick is to step down as Rugby Football League chairman in July. The former FA chief executive, who was also head of sport at the BBC and ITV, has served two three-year terms since succeeding Maurice Watkins in 2013. Barwick, 64, will also give up the chairmanship of Super League and the 2021 Rugby League World Cup. "With over four decades in and around top-class sport behind me‎, I feel it is time now to scale back on some of my wide range of activities," he said. "I have played a central part in the governance changes and re-structuring of the game that has taken place over the past 18 months and at times it proved very challenging - and so it should have. "However, I was determined to stay in my current role until a satisfactory conclusion was reached - which is now imminent." 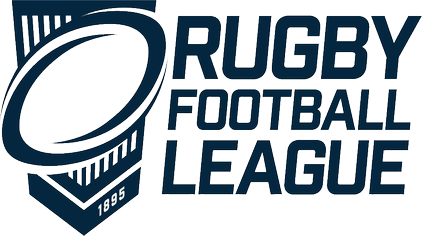 Barwick will be succeeded in an interim basis as chairman of the RFL by Simon Johnson, who is currently the governing body's senior independent director. "Brian has shown real leadership since he took on the role of chairman and has been a great figurehead for the sport," he said. "He has been a key driver in helping navigate through what have been some choppy waters and now steps down having delivered some real change."